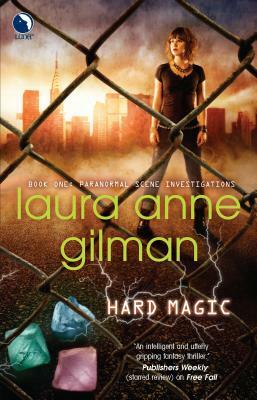 A handpicked team trained to solve crimes the regular police can't touch--crimes of magic. My name's Bonnie Torres. Recent college grad, magic user and severely unemployed. Until I got a call out of nowhere to interview for a job I hadn't applied for. It smelled fishy, but the brutal truth was I needed the work--so off I went. Two days later I'm a PUPI--me and Nick, Sharon, Nifty and Pietr. Five twentysomethings, thrown into an entirely new career in forensic magic.